Prior to the discovery of oil, Ghana was one of the stars of the ‘Africa rising’ story, with an established track record of macroeconomic stability and fiscal discipline. When oil was discovered, there were great hopes that Ghana would avoid the ‘resource curse’. Initial signs were promising — the Petroleum Revenue Management Act (PRMA) was established in 2011 to lay down the key parameters for accounting and collecting of petroleum. However, by 2014 the economic situation had deteriorated so badly that Ghana requested another IMF bailout. What went wrong? Prior to the discovery of oil, Ghana was recognised for its strong track record in macroeconomic management. The discovery of oil led to inflated expectations by the public, increasing political pressure to spend. Poor fiscal and monetary management led to deterioration in public finances, an increase in the current account deficit, a depreciation of the exchange rate, a reduction in real GDP growth, a rise in debt levels and increased inflation. This new fiscal and monetary policy framework had positive results. Inflationary expectations declined and the external payments position strengthened. Ghana’s overall debt profile improved significantly and relative exchange rate stability was restored. 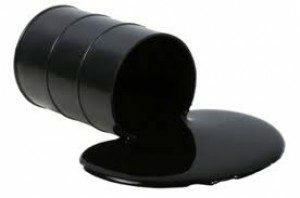 Oil was discovered in Ghana in 2007. With oil production projected to begin in 2010, the Ghanaian government was optimistic — this discovery would have a significantly positive effect on the economy and reduce Ghana’s reliance on oil imports. Ghana invested in extensive consultations with other oil-producing regions and put in place two strong pieces of legislation to try to avoid the resource curse — the PRMA and the Petroleum Commission Act. The PRMA legislated rules for the management of oil revenue, including limits to the amount of expected oil revenue that could be spent in any financial year. It also created a stabilization fund to smooth revenues over time, and a heritage fund to save for future generations. However, the discovery of oil raised public expectations substantially. This hope was reflected in the 2008 and 2012 election campaigns, which saw political parties promise much — in education, infrastructure, and health — based on expectations of forthcoming oil revenue. In anticipation of these revenues, fiscal discipline was given low priority. Consequently public finances deteriorated, public investment decreased, debt returned to unsustainable levels, current account deficits ballooned, foreign exchange reserves dwindled, the exchange rate depreciated rapidly, interest rates rose, inflation rose, and real GDP growth declined. Despite appropriate legislation and institutions being put in place, the two dominant political parties, while in government ahead of elections respectively in 2008 and 2012, were unable to resist internal and external pressures for increased spending commitments. Early management of expectations. This is essential to prevent unreasonable expectations leading to public pressure for increased government spending. A broad-based political commitment to fiscal discipline. Although fiscal rules were put in place, there was little political commitment to fiscal and monetary discipline. Political commitment is more important than a reliance on fiscal rules. Full and real independence of the central bank. The central bank in Ghana was only nominally independent and financed government spending through the printing of money. Isolating the sovereign wealth fund and the government entity responsible for oil revenue projection from political pressures. Money from the stabilization fund was withdrawn early and revenue forecasts (allowing higher fiscal expenditures) were inflated due to political pressure. The establishment of an independent non-partisan expert panel to forecast resource revenues for the budget and transparency in fund withdrawals could have prevented this. Early management of public expectations is essential to avoid excess pressure to spend. Strong institutions, including the ability to uphold relevant fiscal and monetary legislation, are necessary to maintain fiscal discipline. Revenue forecasts need to be carried out by an independent expert panel that is insulated from political interference. Transparency is needed to prevent early withdrawals from sovereign wealth funds Strong public financial management capacity needs to be built over time.